Paul Serotkin has over 30 years of experience in managing closely-held government contractors, and leading M&A/corporate development for public sector businesses. He has been a C-Suite executive, Director, and corporate officer for four government services contractors, including Windwalker Group LLC, International Development Group LLC, Glevum Associates, and UFA, Inc. Previously, he served as Principal for two investment banks serving the federal sector, providing buy and sell side services. Serotkin had also been Director/VP, Corporate Development for public and private federal contractors, last with Titan Corporation. 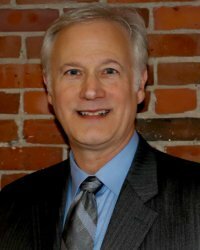 He began his career with the Smaller Business Association of New England (SBANE), where he helped to pass the landmark Small Business Innovation Research (SBIR) Act in July 1982. He earned bachelor’s and master’s degrees, respectively, from Northeastern University and Boston University.